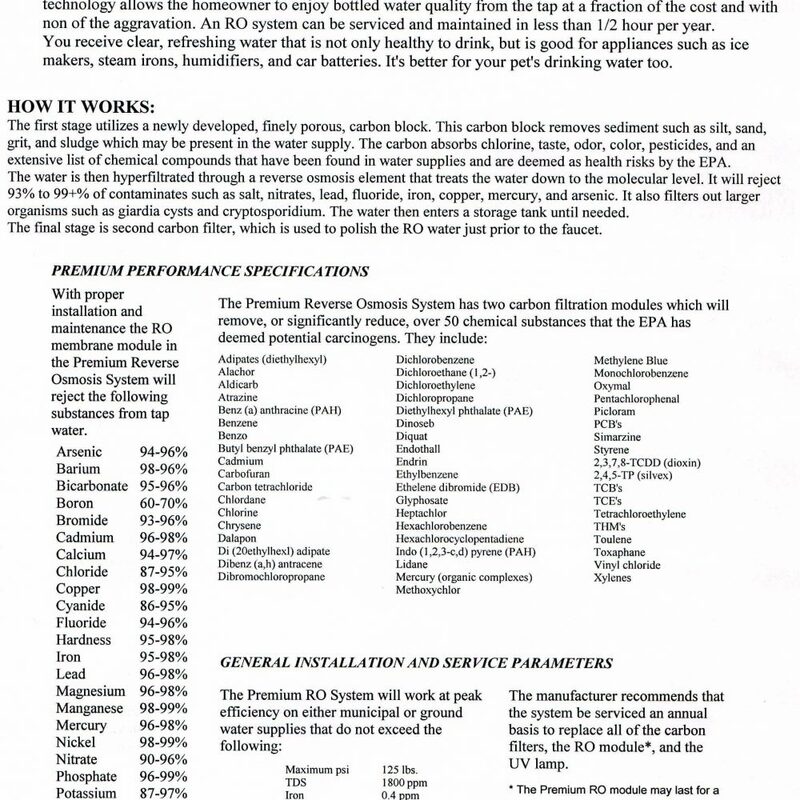 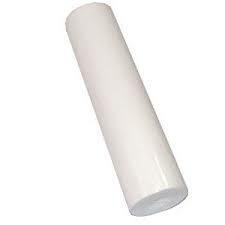 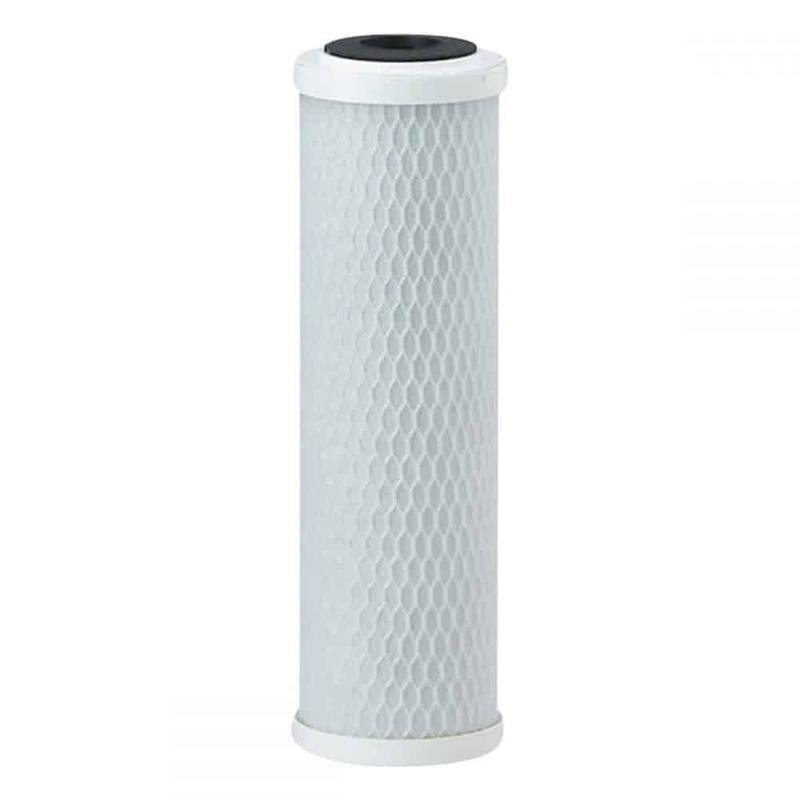 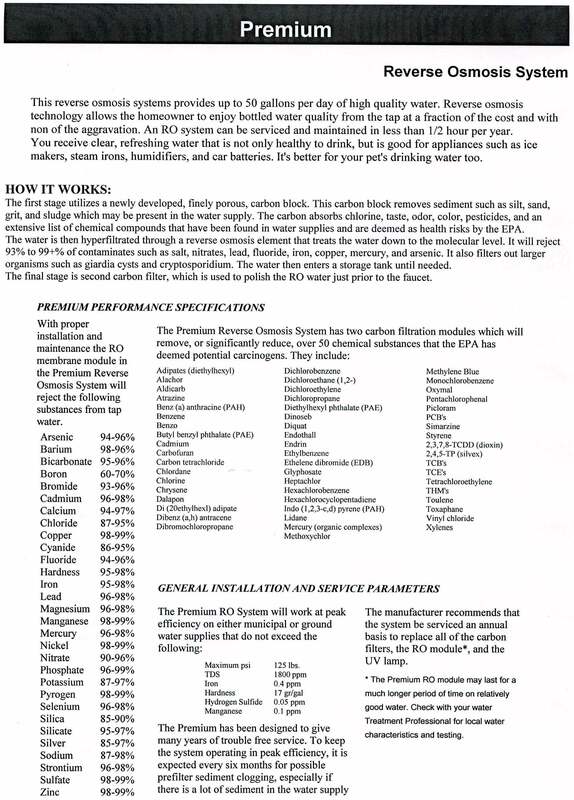 Activated carbon post-filter is used to polish the RO water just prior to the faucet. 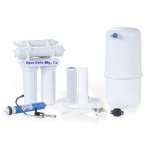 This Premium Aqua Belle RO system provides up to 35 gallons per day of high quality water. 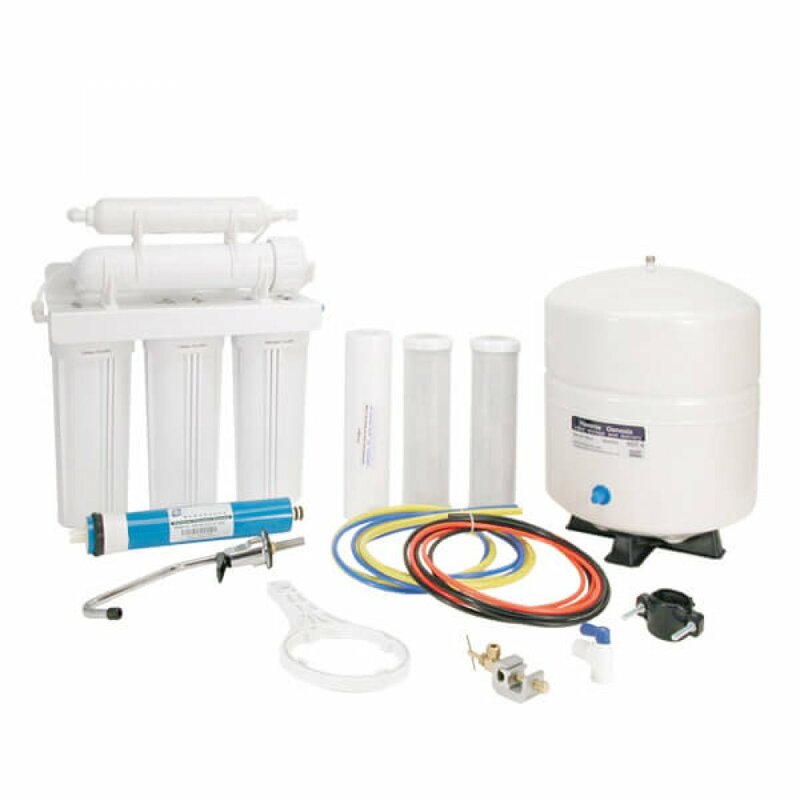 Reverse osmosis technology allows the homeowner to enjoy bottled water quality from the tap at a fraction of the cost and with non of the aggravation. An RO system can be serviced and maintained in less than 1/2 hour per year. You receive clear, refreshing water that is not only healthy to drink, but is good for appliances such as ice makers, steam irons, humidifiers, and car batteries. 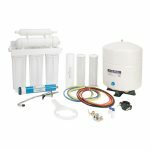 It’s better for your pet’s drinking water too.